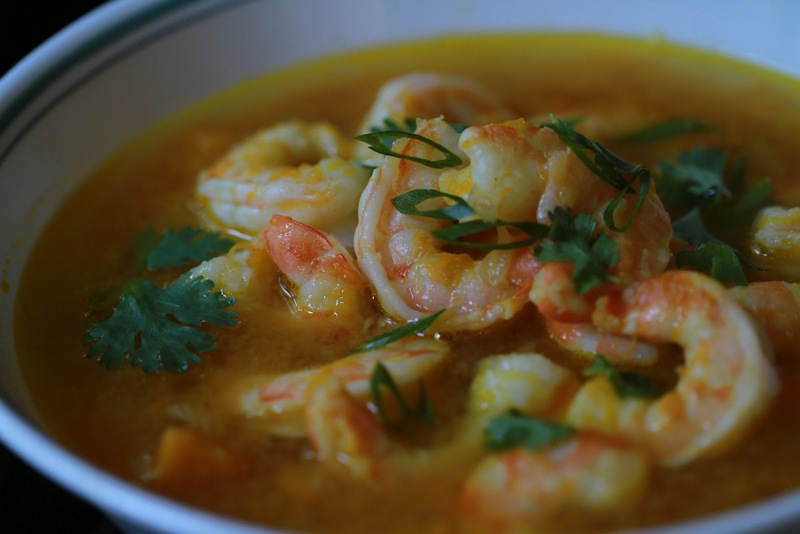 In a medium saucepan, cover shrimp shell with 2 cups water. Bring to a boil at medium high heat, then simmer about 5 minutes at medium low heat. Set aside. Heating oil in a medium sauce pan over medium high heat. Add onion, garlic, and pumpkin stirring regularly until pumpkin light golden brown. Add sugar and salt and stir about 2 minutes. Add water (flavoring with shrimp shells) and bring to a boil. Then lower the heat to medium low and simmer about 10-15 min until pumpkin soft. Add fish sauce. Taste and adjust seasoning to your liking. Add shrimp cook about 2 minutes until shrimp cooked-turning pink and opaque inside. Add cilantro, green onion and ground pepper. 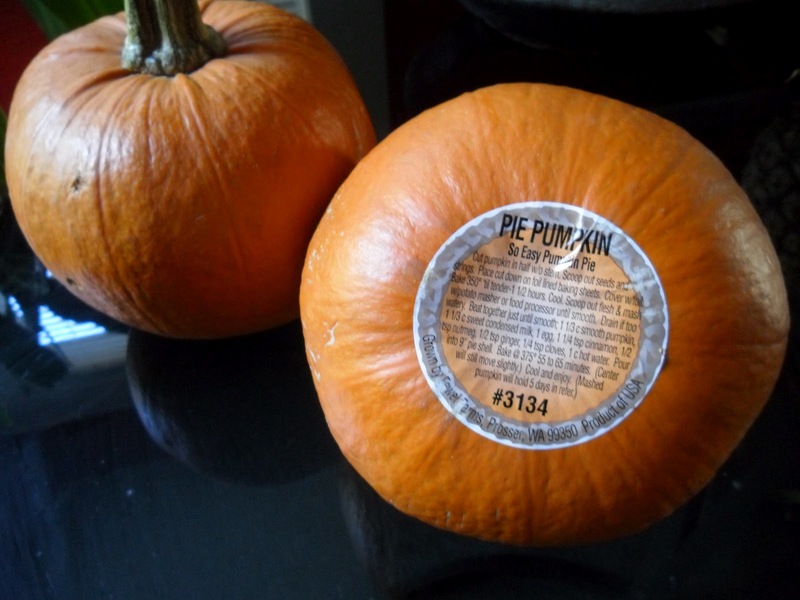 Notes: Sugar pumpkin is the pumpkin used to make pie. May use butternut squash, hubbard pumpkin, acorn pumpkin. Cut pumpkin into little cubes first then peel easier.